Numbers in the 600 series were originally allocated to squadrons of the Auxiliary Air Force. However, the AAF had only reached No 616 by the outbreak of World War Two, and further squadrons starting at 617 began to be formed from 1943 onwards. 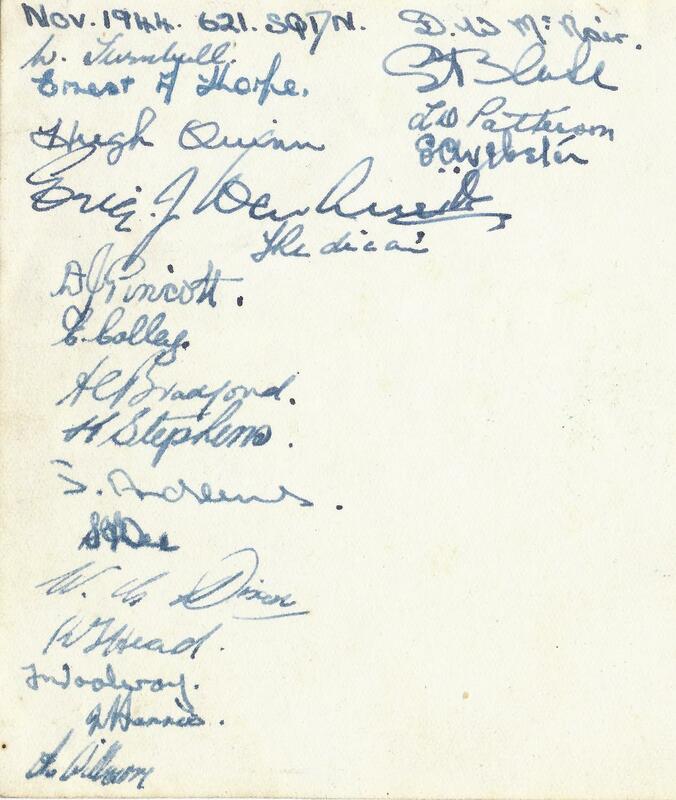 Although many squadrons were not formed until later in the war, the Air Ministry seems to have allocated code letters to many non-existent squadrons during the Munich Crisis in 1938, probably to confuse German Intelligence. Formed as a General Reconnaissance unit on 12 September 1943 at Port Reitz in Kenya it received its equipment in the form of Wellingtons, later that month. Initially operating from Mogadishu from November, it moved to Aden in December, where it remained until November 1945 when it moved to Egypt. In Egypt it re-equipped with Warwicks taking on an air-sea rescue role and received some Lancasters in April 1946. Shortly after it had completed its conversion to Lancasters the squadron was disbanded by being re-numbered No 18 on 1 September 1946. Formed from 'C' Flight, No 15 Squadron at Mildenhall on 10 August 1943, it was initially equipped with Stirlings but converted to Lancasters the following December. It operated in Bomber Command's Main Force as part of No 3 Group until April 1945 when it moved to humanitarian duties dropping food to the Dutch repatriating POWs and ferrying troops home from Italy. However, unlike many of its contemporaries, it was reformed post-war as part of the Royal Auxiliary Air Force at Blackbushe on 1 November 1950 but it was December before its equipment arrived in the form of Valettas. It now operated in the transport role and consisted of a nucleus of regular pilots and reserve pilots drawn from local airline companies. Its re-incarnation was short-lived, however, being disbanded on 30 September 1953 but it was re-formed again as part of the RAuxAF on 1 October 2012 at RAF Brize Norton as a Hercules C Mk 5 unit manned by ex-regular transport pilots now flying for airlines. The squadron was presented with a new badge, with the Queen's Crown on 17 December 2013. 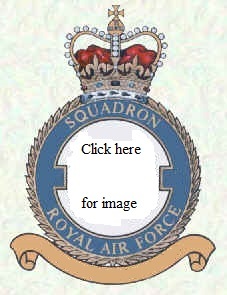 623 Squadron had a very brief existence, forming on 10 August 1943 and disbanding on 6 December 1943. Its nucleus was provided by a flight of No 218 Squadron at Downham Market and during its brief life it was equipped with Stirlings and operated on 39 nights carrying out 81 sorties. Formed by raising 1575 Flight to squadron status at Blida in North Africa on 22 September 1943, the squadron continued to carry out special duties operations to Italy, Southern France, Yugoslavia and Czechoslovakia. These operations included supply dropping and the insertion of agents to the resistance. For these duties the squadron operated Halifaxes, Venturas and later Stirlings. As a result of the allied advances in France and Italy, these need for 624 in this role declined and it disbanded on 5 September 1944. However, it reformed on 28 December 1944 at Grottaglie in Italy equipped with Walrus amphibians. It was now tasked with the role of mine-spotting along the Italian and Greek coasts. It finally disbanded on 30 November 1945. Formed from 'C' Flight of No 100 Squadron at Kelstern on 1 October 1943. Operating Lancasters in No 1 Group, it formed part of Bomber Command's Main Force, throughout the war. After April 1945 it flew supply dropping missions to the Dutch, repatriated POWs to Britain and returned troops from Italy. It finally disbanded on 7 October 1945. Formed at Wickenby from 'C' Flight, No 12 Squadron on 7 November 1943, it operated as a Main Force unit within No 1 Group throughout the war. Equipped with Lancasters, it remained at Wickenby and after its final bombing mission in April 1945, it joined in operations to drop food to the Dutch and return POWs from Germany and troops from Italy, disbanding on 14 October 1945. Originally formed as part of the Light Night Striking Force, in No 8 Group at Oakington on 12 November 1943, this Mosquito unit was transferred to No 5 Group in April 1944. Here it acted as a marker squadron for No 5 Group using techniques previously developed by Wg Cdr Leonard Cheshire and his No 617 Squadron. Ironically it was a No 627 aircraft that was being flown by 617's first CO, Wg Cdr Guy Gibson VC, on the night of 19/20 September 1944 when he was shot down over Holland and killed. The squadron was finally disbanded by being re-numbered No 109 on 1 October 1945. Formed from a nucleus provided by 'B' Flight, No 357 Squadron, this unit equipped with Catalinas operated in the meteorological reconnaissance and air sea rescue role from its base at Redhills Lake. It operated over the Bay of Bengal and the Indian Ocean, disbanding 1 October 1944. Never actually formed but the codes LQ below were allocated for the period April to September 1939. Formed from 'B' Flight, No 57 Squadron at East Kirkby on 15 November 1943, it was equipped with Lancasters and operating as a Main Force squadron in No 5 Group. It continued to conduct bombing operations until April 1945, when it started ferrying POWs back to Britain, finally disbanding on 15 July 1945. Formed from No's 1605 & 1628 Flights at Towyn on 1 December 1943, the squadron provided anti aircraft co-operation facilities to units in Wales. Initially equipped with Henleys, it later supplemented these with Hurricanes, with the Henleys being replaced by Martinets from September 1944. Never actually formed but the codes LO were allocated for the period April to September 1939. It was formed from 'B' Flight of No 35 Squadron and 'C' Flight of No 97 Squadron at Downham Market on 20 March 1944. Equipped with Lancasters, it formed part of No 8 (Pathfinder) Group, continuing in that role until the end of the war. Having carried out its last bombing mission on 25 April 1945, it undertook transport duties, repatriating POWs and carrying out food drops to civilians in Holland. It finally disbanded on 1 September 1945. One member of the squadron, Sqn Ldr I W Bazalgette, was awarded a posthumous VC following the raid against Trossy-St Maximin on 4 August 1944. Never actually formed but the codes VZ were allocated for the period April to September 1939. Never actually formed but the codes UK were allocated for the period April to September 1939. Never actually formed but the codes PZ were allocated for the period April to September 1939. Formed from No's 1602, 1603 & 1604 Flights at Cleve on 1 December 1943 for anti aircraft co-operation duties in the South-West of England. Equipped with Henleys, it acquired some Hurricanes in August 1944 and continued to operate both types until disbanding on 30 April 1945. Formed from 'C' Flight of No 158 Squadron at Leconfield on 7 January 1944, it was equipped with Halifax IIIs. It operated as a Main Force squadron within No 4 Group for the remainder of the war, re-equipping with Halifax VIs in March 1945 and disbanding at Leconfield on 7 May 1945. 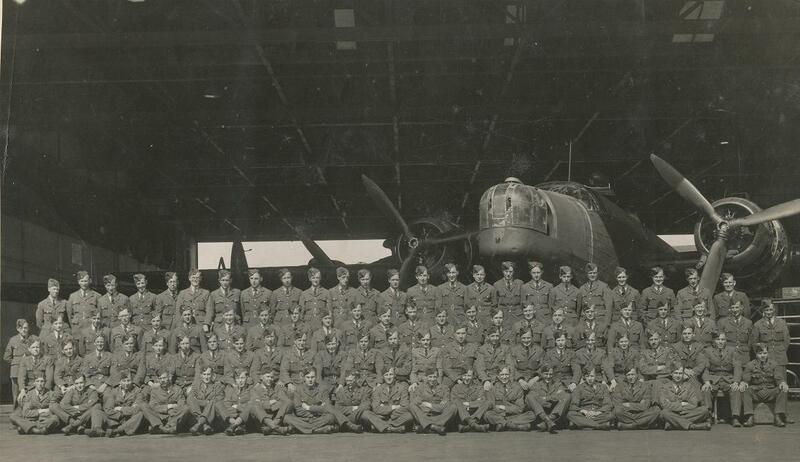 A full operational history that describes every operation undertaken by this Yorkshire bomber squadron in the sixteen months of its existence (1944-1945), during which it lost 50 aircraft and 329 aircrew. 303 pages in A4 format. 120+photographs and illustrations. 60 pages of appendices. Softback (stiff card cover). ISBN 0-9547325-1-0. Published under Bill Norman's own imprint. Available from bookshops or direct from the author. Never actually formed but the codes EU were allocated for the period April to September 1939. Never actually formed but the codes MQ were allocated for the period April to September 1939. Never actually formed but the codes QZ were allocated for the period April to September 1939. As the build up for Overlord got under way there became in increasing need for transport and airborne assault squadrons. Therefore on 23 February 1944 personnel and Halifax aircraft from No 298 Squadron at Tarrant Rushton were formed into No 664 Squadron. 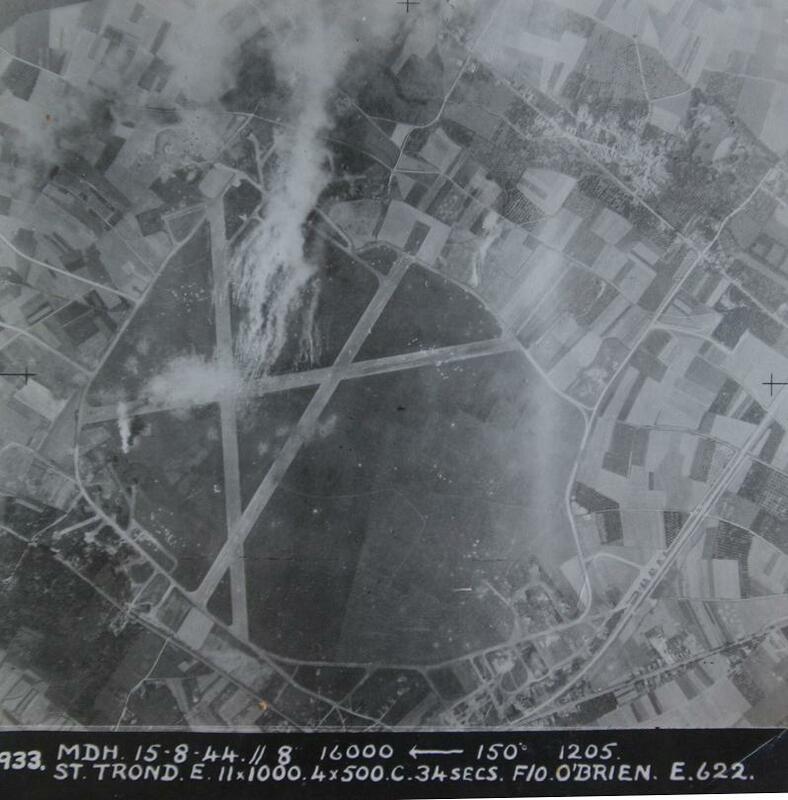 Operations included supply dropping to SOE forces, glider towing during Overlord, Market Garden and Varsity. They also carried out drops over Norway and even bombing missions towards the end of the war. 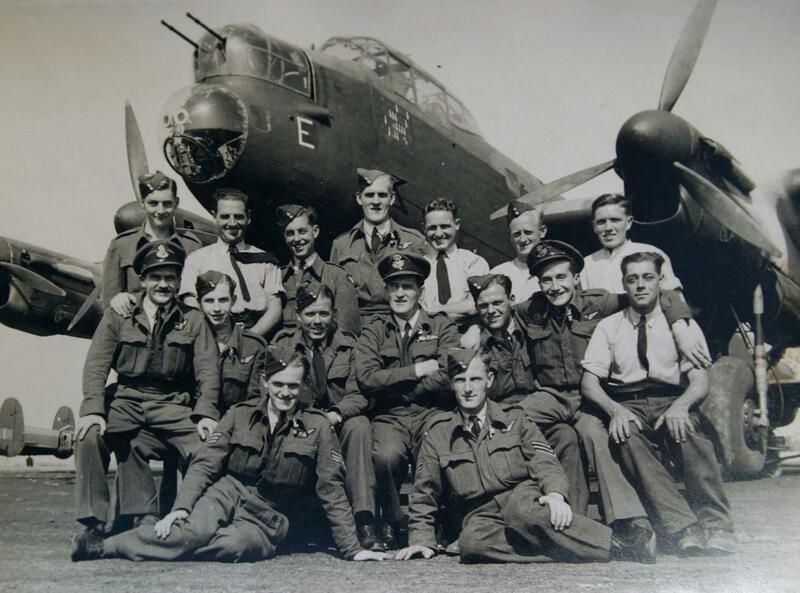 The squadron flew troops into Norway, POWs from the continent back to Britain and later carried out trooping flights to Italy, Greece and Africa with the squadron settling in Egypt in November 1945. On 1 September 1946 No 644 disbanded by being re-numbered No 47. Never actually formed but the codes KF were allocated for the period April to September 1939. Never actually formed but the codes YG were allocated for the period April to September 1939. Never actually formed but the codes ZS were allocated for the period April to September 1939. Never actually formed but the codes YT were allocated for the period April to September 1939. Never actually formed but the codes HA were allocated for the period April to September 1939. Formed from No 1614 Flight & 'D' Flight, 289 Sqn at Cark on 1 December 1943, it was equipped with Martinets target tugs. It provide anti aircraft co-operation facilities for units along the East coast of the Irish Sea. Moving to Anglesey in November 1944, he sent a detachment to the Humber areas in February and March 1945 but disbanded soon after at Bodorgan on 25 June 1945.